You may know that I attend very few art shows (I hate to travel). But when I was invited to participate in a show in my hometown of Tulsa I agreed to be there. I'm looking forward to seeing old friends and meeting news ones. I hope you can make it. Who doesn't love a cowgirl decked out in a big hat, scarf, Fancy gauntlets (I want a pair!) and boots? 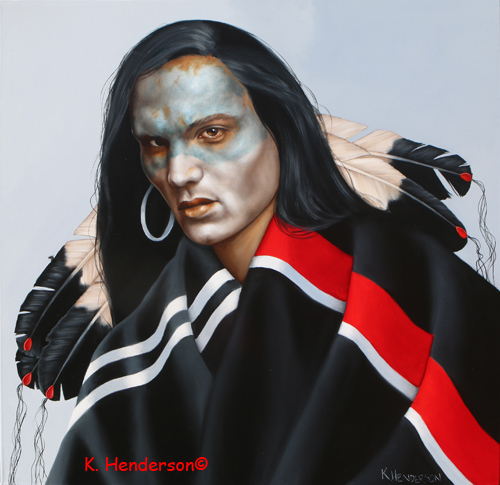 This painting is based on a Rodeo performer from the 1920's. 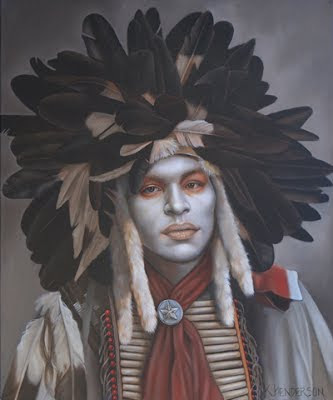 This Plains Indian is wearing an eagle feather headdress. 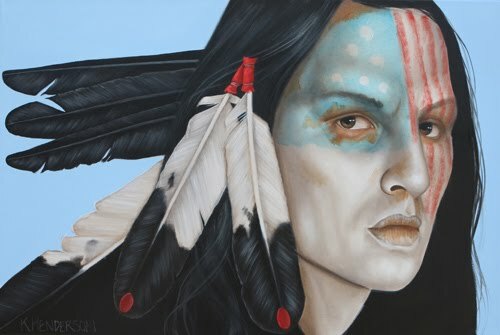 The shafts of the feathers are wrapped in red Trade Cloth. Bells, ribbon and cloth also adorn the band of the headdress. 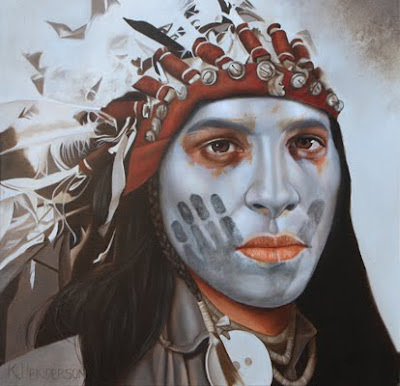 His face is painted white with a black hand or coup mark. Trade Cloth or "Stroud Cloth" was a cheap woolen cloth made from woolen rags and exported to the North American Indians. It was made in the town of Stroud in Glouchestershire County, England. The cloth was dyed red, blue, green, or black, and had a white edge that resulted from the dying process. 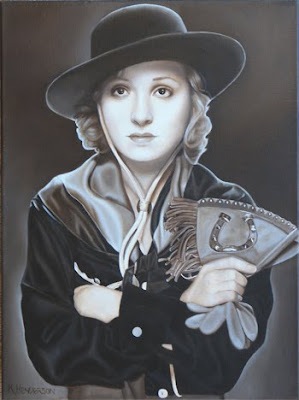 This painting is another in my series of Silver Screen Cowgirls. 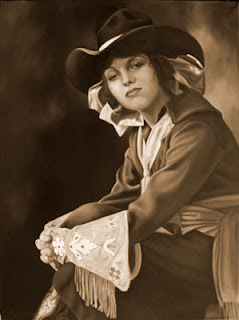 This little lady wears a hat, gauntlets, scarf and western shirt. The sepia tones brings us back to the times before Cowgirls were in Technicolor.